Rollover an area for a description. 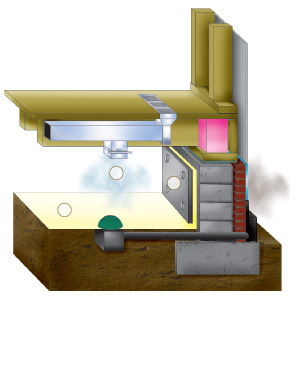 A crawl space that is completely sealed and insulated from the outside environment and conditioned in order to remove harmful moisture from the air is called a Sealed Crawl Space. It is constantly controlled as opposed to a typically vented crawl space which relies upon environmental conditions. The areas in RED indicate the regions that will experience extreme benefits from a Sealed Crawl Space over a traditional vented crawl space. 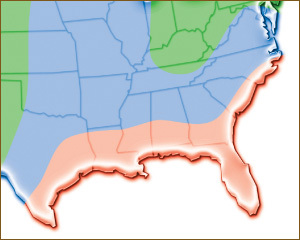 Sealed Crawl Spaces are highly recommended for areas covered by the BLUE portions. Areas on this map shaded in GREEN will also benefit from Sealed Crawl Spaces. You can save on your energy bills when you have a Sealed Crawl Space. Controlling your ambient temperature and moisture will give you greater control over your energy bills. Up to 15% or more can be saved per year for an average crawl space. One of the greatest risks to your health and home is mold. This threat is controlled by removing moisture from your crawl space. 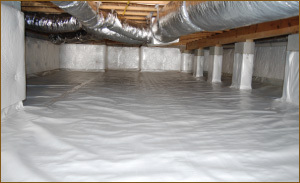 Floors can be protected by reducing the moisture levels above and below them. 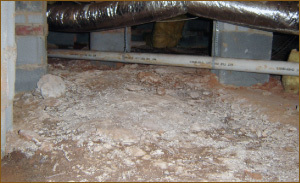 A Sealed Crawl Space also reduces seasonal moisture fluctuations in the home which can affect your floors. Protect your future with a Sealed Crawl Space. By preventing pooled water and moisture from collecting around the foundation wall, you’ll eliminate erosion of the concrete, brick and wood. Increase the life of your investment by protecting the foundation that it’s built on. These benefits add value to a home. Controlling the moisture in the crawl space will make the house inspection go faster, allowing you to take the house to market sooner. The space will also be more presentable to buyers. 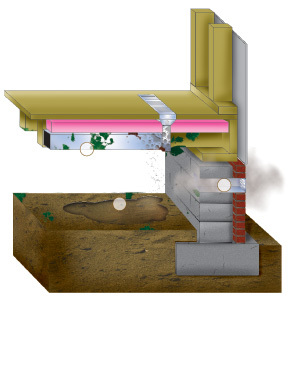 Benefits of a Sealed Crawl Space?